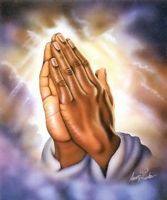 I pray for the fast recovery of my aunt who is now in ICU. She is suffering of breast cancer for five years, underwent surgery, and has continuous chemotherapy. Now, she is in the ICU for fluid drainage in her heart. I ask you to include her in your prayers for her soonest recovery.